Looking for an extremely easy recipe that is packed full of fruits and veggies? 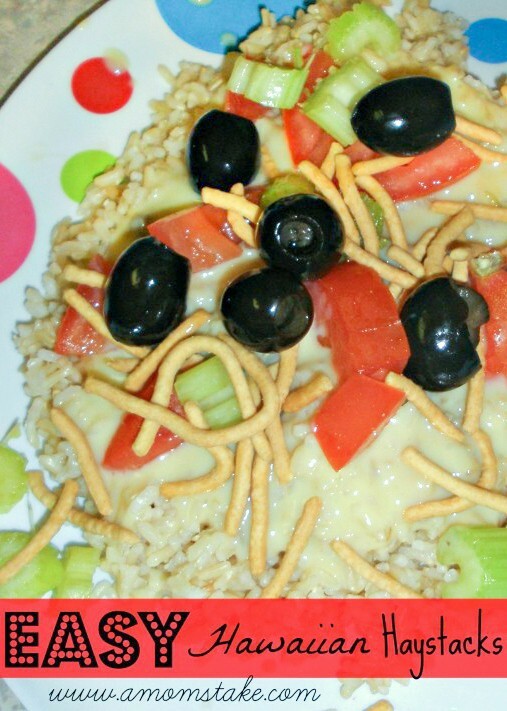 Then you’ll fall in love with this Hawaiian Haystack Recipe! I’ve been cooking this meal for years and it is still requested on a weekly basis. Want to know the best part of this tasty meal? From start to finish, it only takes about 15-20 minutes to make. Enjoy! Start by cooking rice according to packaged instructions. For my Hawaiian Haystacks, I always use instant brown rice (it only takes 10 minutes to cook). While the rice is cooking, get started on the gravy. In a saucepan, combine one can of cream of chicken soup with 3/4 cup of milk. Stir gravy regularly until desired consistency. If you like your gravy thinner, add more milk. Salt and pepper gravy to the taste. After your gravy is complete, it’s time to chop up all of your yummy fruits and veggies! My family LOVES putting the following items on their Hawaiian Haystacks: olives, carrots, tomatoes, lomein noodles, pineapple, celery. After rice is done cooking, layer it with gravy, desired toppings, and shredded cheese. 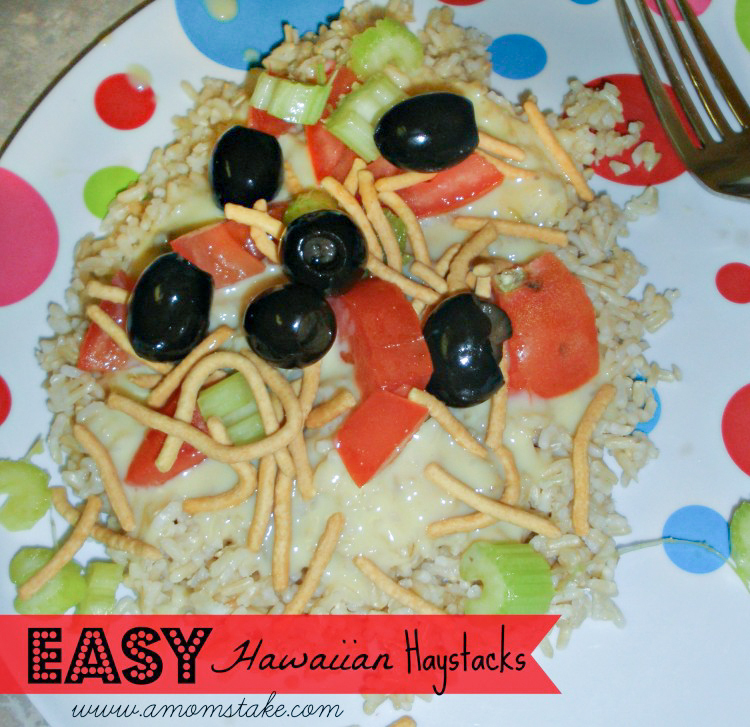 To say the least, this Easy Hawaiian Haystacks recipe is sure to become an instant family favorite! What’s your favorite Hawaiian Haystacks topping?